In New Jersey, retail shopping is a passion. Our state is home to the most malls per square mile out of all 50 states. In addition to our multi-acre shopping malls and outlet centers, our neighborhood strip malls and retail commons are populated with boutique clothing stores, hair salons, banks, fitness centers, and pharmacies of every shape and size. With competition so intense, successful retail stores must keep an eye on the smallest details that go into the mix. At the top of that list are pest problems. 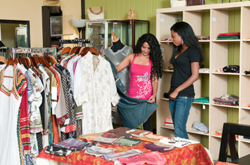 A pest infestation can stop a store dead in its tracks, tarnishing the image and reputation of a business. For businesses that handle, display and sell food, pest infestations mean big trouble. While all businesses should strive for zero tolerance in pest infestations, for retail food establishments it is critical. Sanitation issues can immediately close down a food-related business. But make no mistake about it. Non-food retail establishments can also be targets for pests and rodents. With constant deliveries of inventory and heavy foot traffic in and out of the store, pests can arrive at any moment. Any facility faced with transient traffic – and transient traffic is the lifeblood of retail stores -- has the potential for a pest infestation. Loading docks and delivery side doors give open access to a variety of pests and rodents. Nearby dumpsters are often breeding grounds to a wide variety of pests. With commercial areas, the nearby pizza shop or deli can attract pests that wind up inside your store. Customers themselves can also trigger an infestation. Recently, a number of high-end retail stores and movie theaters found themselves smack in the middle of our ongoing bed bug epidemic. Apparently, a few customers brought some hitch hiking bed bugs into the stores. And that’s all it takes. Once the bed bugs were found, the stores closed for a few days in order to deal with the infestations. Not only did the store lose valuable shopping days, even worse, the stores got their name in the press, on TV news, and all over the Internet. And it was not the kind of publicity that a store is looking for. Cowleys is a specialist in serving the needs of the retail industry and has a proven track record for two decades. As a family-owned business, we know first-hand the importance of building and maintaining a good impression with its customers. A business provides services or sells goods, but underlying it all, what customers really want, is trust and the knowledge that your are dealing with someone who takes pride in their work and pride in their business. Cowleys has an Integrated Pest Management Program that is specifically geared toward the unique challenges in the retail industry. Businesses with multiple locations can be combined into a single service agreement with a single account manager coordinating service so every site has one point of contact at Cowleys to address any issues or emergencies. Our retail program is designed to provide your facilities with a sophisticated pest management program that protects your reputation and brand. We support your goals to be competitive and profitable by providing a pest-free environment for your customers and employees, not to mention the problems caused by outside inspectors finding evidence of an infestation. Cowleys has years of experience in Integrated Pest Management (IPM). IPM is considered to be the “gold standard” in pest control services. IPM techniques reduce the likelihood of an infestation and readily resolving an infestation should one occur without the heavy application of pesticides associated with traditional pest control. IPM focuses on prevention in order to minimize the likelihood of re-infestation; we determine and remove the sources responsible for the infestation. IPM is markedly different from traditional pest control involving heavy application of pesticides; instead, pesticide applications are used judiciously and intelligently so as to optimize their efficacy using the least amount of chemical. Not only does less chemical mean cost savings, but there is a safety issue as well. With IPM, applications are only one element of a treatment plan. With retail facilities, we avoid using specific applications because of their odor and toxicity. We utilize materials that are odor-free and do not leave messy residues. We work our schedule around your schedule. 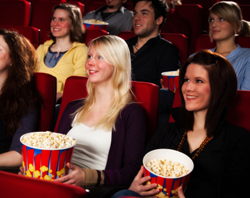 It is no secret that retail industries from clothing stores to movie theaters are facing serious scrutiny these days concerning one particular pest: bed bugs. These parasitic insects that live off human blood have become a source of worry and concern for every manager. In the retail industry, there are few things worse than bed bugs, driving away customers to your competitors. Cowleys has the experience to deal with bed bugs in this challenging setting including the use of a proven canine scent-detection dog that can swiftly and accurately inspect your store and all the hidden nooks and crannies of inventory from stacked shirts and pants in a clothing store to the insides of displayed shoes in a shoe store. A scent-detection dog saves a significant amount of time in determining the extent of the infestation. Cowleys has the experience to handle bed bug and other pest infestation problems quickly and discreetly to minimize any interruption. Supermarkets and other retail food establishments are no place for pests. Not just because of public perception and brand risk, but also because of the serious health risks in areas where food is handled and stored. It is bad enough if a customer observers pests on premises, but imagine the problems if a cockroach or other insect finds its way inside a shopping bag that is brought inside a customers home. Retail food establishments face unique challenges. First and foremost they are in the business of stocking inventory – food -- that appeals not only to humans but also to a wide variety of insects and rodents. And these types of facilities are easy targets for pests. There is significant access for pest entry since customers and suppliers are constantly entering and exiting the store. Larger businesses have loading docks that often remain open during certain hours. Other businesses have side or back door entrances for suppliers so there is no interference with the retail foot traffic into the store. These entranceways provide open avenues of access for pests, rodents, and even birds. Every delivered pallet of food that is delivered to the store, especially open crates of fruits and produce, has the potential of containing harboring bugs. From the largest supermarkets to the neighborhood convenience store, Cowleys has the resources and expertise to institute a comprehensive pest control plan in retail food operations of any size. Cowleys understands the special needs of retail food establishments. We’ll customize a program that suits your company’s needs and budget while targeting the insects and rodents that can do so much harm to your business.